Featuring RICH PFEIFFER, M.Div, Ph.D. 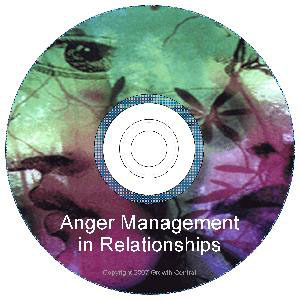 The Anger Management in Relationships – DVD is designed for couples to provide training and to help deal with difficult situations more effectively. The DVD program is organized to be viewed on TV or the desktop for users. The content of the program is the result of the latest clinical and educational research in dealing with anger behavior in Relationships. Separate instruction is included as well as live situations. 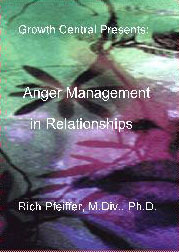 Dr. Pfeiffer is a Licensed Marriage and Family Therapist (NY & NJ), a Psychotherapist, and a nationally Certified Anger Management Specialist-V. His psychological and spiritual training lay the foundation for his expertise in helping people work through their core conflicts. He is a Certified Pastoral Psychotherapist having graduated from the Blanton-Peale Graduate Institute (NYC). He is a Fellow of the American Association of Pastoral Counselors (AAPC), and a Distinguished Diplomate of the National Anger Management Association (NAMA). An innovator in the development of Issue Focused Individual Psychotherapy and Emotion Focused Couple Therapy, Pfeiffer has provided psychotherapeutic services to individuals and couples for over twenty five years. He is the author of over 20 publications including the Real Solution Workbooks and Creating Real Relationships.